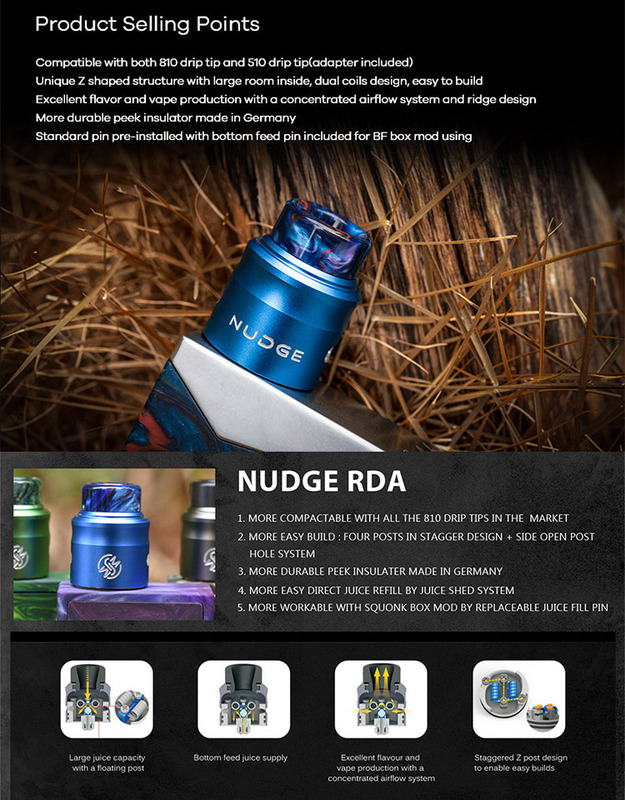 Wotofo Nudge RDA designed with the four posts in stagger and side open post hole system that more easy to rebuild. Features the deep juice deck and juice shed system, it can hold more e-juice that will deliver the dense flavor. Attention: Shipping restriction: Due to exclusive distributor of Wotofo, we do not send Wotofo products to customers in United Kingdom. 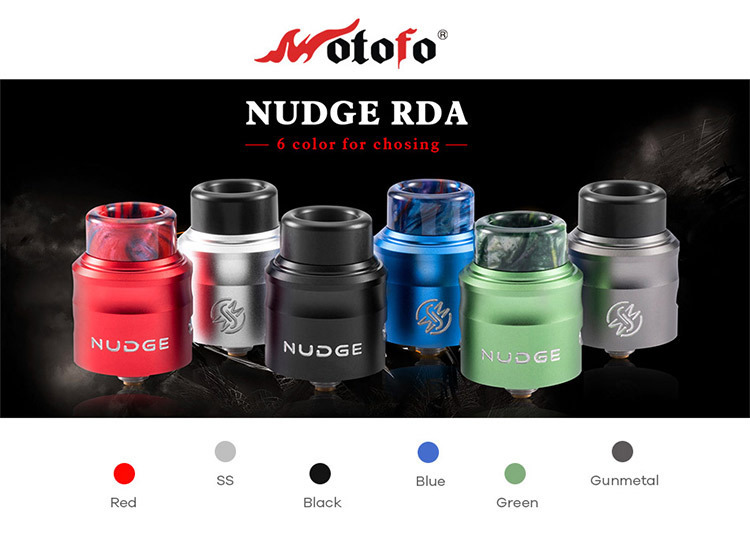 Wotofo Nudge RDA designed with the four posts in stagger and side open post hole system that more easy to rebuild. Features the deep juice deck and juice shed system, it can hold more e-juice that will deliver the dense flavor. 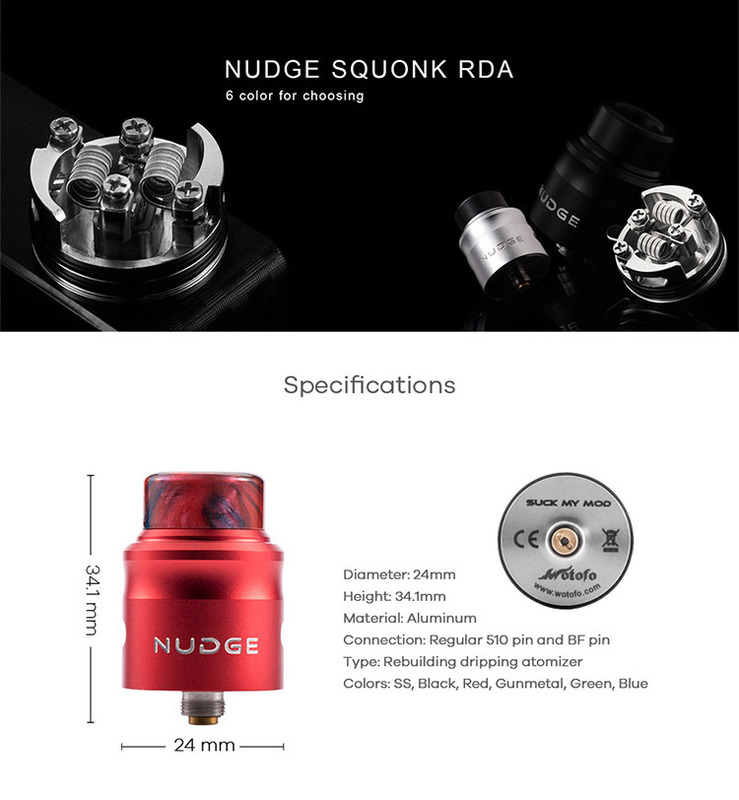 With the included BF Pin, Nudge RDA is easy to refill and brings the chase cloud vapor. Recommended Battery: Vandy Vape Pulse BF Mod, Arctic Dolphin Crea BF Mod, Hugo Vapor Squeezer Mod, etc.